As one takes a hard look at the last two years of the Modi administration, while there have been some disappointments in terms of pending promises, there have been significant achievements, which would be of huge value to any economy. This piece looks at these achievements through the lens of IAS officers in the all-powerful PMO and check whether it is indeed “the worst PMO ever”, as was averred by one of India’s most influential commentators, Arun Shourie. Moreover, it tries to, as an outsider with some inside perspective, analyse the major leitmotif underlying the working of the PMO, what drives it and what its drawbacks may be. First, unarguably, this PMO is a reflection, and has the unmistakable stamp, of India’s first presidential prime minister, Narendra Modi. The campaign he led was a remarkable success. It was a presidential campaign and as such it is no surprise that the broad complexion of the PMO is of a strong and presidential one that excels in driving the ministries to perform. One example alone would drive home the point of the benefits of the PM’s strong, aut­hentic leadership. His global outreach is not just giving India the moral high ground abroad, which has significant benefits at the global roundtable, but is also powering economic diplomacy of a rare kind. It is hardly known that the Rs 90,000-crore Ahmedabad-Mumbai High Speed Rail Link is happening as a result of a loan at 0.1 per cent interest over a 50-year time period from Japan, and this is because of the personal relationship that the PM fostered with the Japanese! Second, for the first time ever, the PMO is a collection of officers and private sector staff of extraordinarily high integrity—high performers who bring to the table skills that are mutually exclusive but collectively exhaustive. Each has been handpicked for a certain skill or specialised knowledge and given the freedom to conceive and deliver. So, while the PM paints the big picture, takes quick decisions and debottlenecks obdurate ministries (and ministers), the officers build consensus and persuade the ministries to own projects and deliver. These are all firsts for any PMO ever. PMOs in the past have usually followed the bell curve when it comes to officers, but in this one, almost all of them exceed it. Third, almost every single officer in the PMO is like electricity, invisible but indispensable, and they are on all the time. Each one has performed exceptionally, and that should be recognised and quietly appreciated. Principal secretary to prime minister Nripendra Mishra, 72, works 24x7x365—untiringly, more than most officers half his age. His strengths are his ability to bang heads inside a room and take quick decisions on file. For example, in a matter of four meetings, he restarted the famous Enron power project by getting RGPPL, railways, power ministry and the Maharashtra government to come on one page. Today, the plant produces 500 MW. More importantly, this prevented IDBI and SBI loans of over Rs 5,000 crore from becoming NPAs! It took the PMO just four meetings to restart the Enron power project by getting RGPPL, railways, power ministry and Maharashtra on one page. Additional principal secretary P.K. Mishra, regarded as the PM’s alter ego, and additional secretary Bhaskar Khulbe make a kind of Kohli-Gayle partnership, where the latter is the resident Wikipedia on everything human resources. They do what Jim Collins called “Get the wrong people off the bus, get the right people on the bus”. Their unique 360-degree multi-source feedback model is exceptional and has led to ano­ther major achievement of this government: almost zero corruption in high places. Be it government or judiciary or defence or PSUs or banks or the CBI, they have ensured officials of integrity and competence occupy key decision-making positions, leading to a massive clean-up of large procurements. For the first time, officials sitting anywhere in India can aspire for key positions, without need for patronage. They have been wringing out corruption like muck from a dirty towel and this government has not got as much credit for eradicating corruption as the preceding ones got criticism for the corruption. T.V. Somanathan, A.K. Sharma, Tarun Bajaj, Anurag Jain and Debashree Mukherjee form the brains trust of the PMO. Their exceptional intellect and attention to detail powers the PMO’s ideas, coordination among ministries and outstanding execution. It may not be long before India's telecom market is shaken up by the launch of Reliance Industries' 4G wireless broadband service. No one is quite sure when the soft launch is likely, but one thing is certain: there will be plenty of hoopla and hype as the launch date draws near. The project is being watched around the world, given that Reliance has committed Rs 70,000 crore to build an ultra-modern telecom network that could help India leap-frog into the forefront of the communications revolution. The formidable technological challenges of building a broadband wireless network, spread across 5,000 cities and towns, will test even Reliance, which prides itself on its superior project execution capabilities. Beyond these technological challenges, the project will be a crucial test for Reliance's top-down, centralised decision making model. Employee engagement and empowerment, a company-wide culture of innovation and a high trust environment are the cornerstones of the modern day enterprise. Reliance's new ventures, on the other hand, have typically relied on a different and unique operating philosophy. 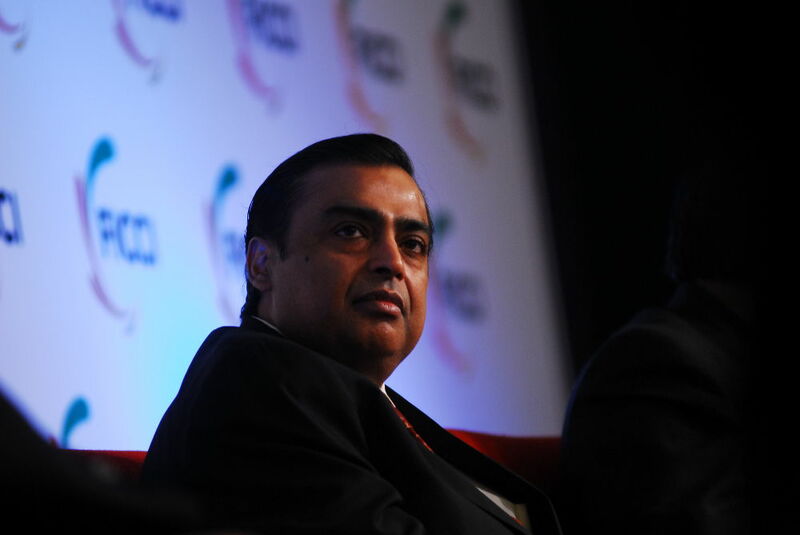 The project will be a crucial test for Reliance's top-down, centralised decision making model. It is a culture which places emphasis on results, where the end is far more important than the means. Almost all key decisions on vision and strategy are taken at the very apex of the organisation. Every employee, irrespective of their seniority, is expected to carry out a given set of tasks and is evaluated rigorously at a periodic level. There's plenty of chatter about these no-holds barred review meetings, where it isn't uncommon for senior executives to be publicly upbraided for missing deadlines. Reliance also follows an old practice of assigning the same project to two separate project teams, without either of them being aware of that. This operating style has been a leitmotif of Reliance's new venture forays. Yet, like Pied Piper, Reliance chairman Mukesh Ambani has been consistently able to attract top-level leadership talent from India and abroad. And the conglomerate has gained a global reputation for project management and execution. It is another matter that many of these marquee hires earning multi-crore salaries seldom stay very long; or even if they do, the early promise of a blank canvas to paint on evaporates even before the first couple of months are over. They quickly reconcile themselves to being cogs in a large wheel. That Reliance isn't seen to be a great place to work is no secret. It isn't as if attempts haven't been made in recent times to change the culture. But they've been superficial at best. Inspired by Google, RIL got a designer to paint its walls in bold, new colours and adorn them with inspiring posters. Last year, it planned a big company wide webcast and press conference to announce new employee engagement initiatives, involving the chairman and his top team. As it turned out, someone forgot to tell employees and even their HR leaders across many group companies and they got to know about it from newspaper reports the next morning. "These institutions have become source of re-employment for retired Judges as well Retired Lt Generals and Major Generals who cannot act against the government,” said Sehgal. The All India Ex-servicemen Welfare Association has demanded the abolition of Armed Forces Tribunal (AFT) benches functioning in various part of the country, including its principal bench at New Delhi, on the plea that these have failed to provide relief to defence services litigants and are instead acting in favour of the Ministry of Defence (MoD). The association’s chairman, Bhim Sen Sehgal, has written to the President, Prime Minister and the defence minister saying that the instead of providing help to the defence services litigants, AFT has done immense damage to the cause of justice to defence personnel, ex-servicemen, pensioners, war widows and disabled soldiers. According to Sehgal, a practising advocate at the Punjab and Haryana High Court and the AFT, retired Generals, who constitute the members of the bench have are not acting fairly for the reason that the AFT benches are functioning directly under the MoD instead of Ministry of Law and Justice. “These institutions have become source of re-employment for retired Judges as well Retired Lt Generals and Major Generals who cannot act against the government,” said Sehgal. He added that latest representation with regard to abolition of AFT in absence of corrective measures has been acknowledge by office of the Prime Minister. “How can justice be expected from retired defence officers who were, till some months ago, a part of the same system? The AFT was created in terms of judgement of the Supreme Court where it was directed that the Tribunal should be manned by ‘civilians’ and not from people associated with defence. The AFT should be a temple of justice, not a post-retirement home for facilities and salary,” the association chairman said. He added that the AFT should only be manned by sitting judges or legal luminaries and not by retired military officers since all orders by the AFT are to be passed against the military and defence establishment. “In fact, in certain cases it is a mockery of justice, for example, in case of criminal appeal in death sentences, the appeal of a civilian goes to a division bench of two sitting judges of a High Court while in AFT it goes to a retired judge of a High Court who is sitting with a retired military officer. Can a retired military officer comment on legality of death sentence or other complicated legal issues? he questioned. The association was also pointed out that the AFT has not been given any power of civil contempt which is available to all similar tribunals, such as the Central Administrative Tribunal (CAT). In its representation, the association has said that the MoD and defence services continue to ignore AFT decisions and there is no power to punish them. Most of the judgments/orders of the AFT given since its formation have not been implemented till date by the defence services, the association claims. The Minister for Defence has recently announced the formation of an 11-member committee, led by Lieutenant General DB Shekatkar (Retd), to look into areas of overlap and convergence within the three Forces — the Indian Army, Navy and Air Force. The committee will also identify areas to “rationalise manpower”, examine possible areas of multi-tasking by troops and suggest ways to “optimise” combat potential by bringing in more technology instead of more boots. There can be no two opinions that such a detailed examination is necessary and must be undertaken periodically, except to suggest that the period of three months given to the Committee to complete its task seems grossly insufficient, if it is to do justice to this critical issue. In fact, one may even suggest that by restricting this examination only to the military, the Defence Minister has not gone far enough. The reasons for this are not far to seek. The MOD, for example, has sanctioned posts of 5, 85,000 civilians, which is more than the active strength of the Pakistan Army. The MOD spends more than Rs1,000 crore annually on pay, allowances and establishment of the Ministry of Finance personnel who are attached to it. The civilian-manned Military Engineering Services spends nearly double the amount of the work it does on its own establishment costs. The Defence Research and Development Organisation only utilises 39 per cent of its budget on research and development while the remainder is spent on establishment costs. The burgeoning pension bill, which is expected to touch Rs60,000 crore this year after taking into account the sanctioning of One-Rank-One-Pension, is another problem. While reduction of manpower will certainly go some way in controlling this issue, the fact is that the per capita expenditure on 25 lakh military veterans and their kin amounts to approximately Rs1.5 lakh annually, while the four lakh civilians paid from the defence pension budget receive an average of Rs5.38 lakh a year, which will shoot up astronomically as and when the Seventh Pay Commission report is implemented. “Beyond deterrence, an LRSO-armed bomber force provides the president with uniquely flexible options in an extreme crisis, particularly the ability to signal intent and control escalation,” Frank Kendall, the Pentagon’s top weapons-buyer,told Congress. There’s no way to know for sure. But the little data that exists suggests no. 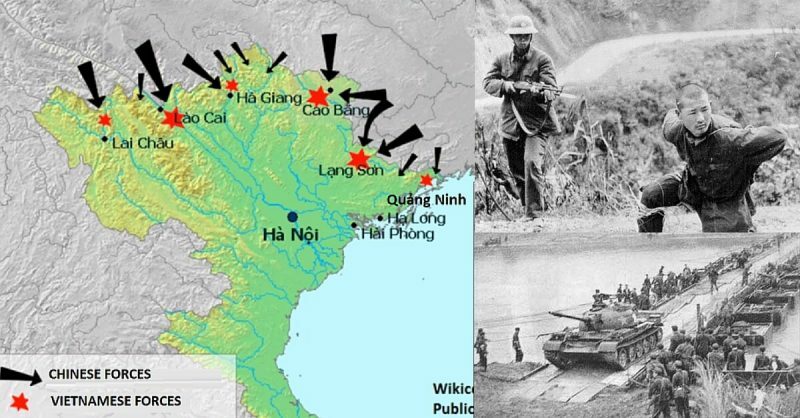 In 1979, China invaded Vietnam because Vietnam had invaded Cambodia, whose rulers were backed by China. The conflict lasted a month and resulted in tens of thousands of casualties. 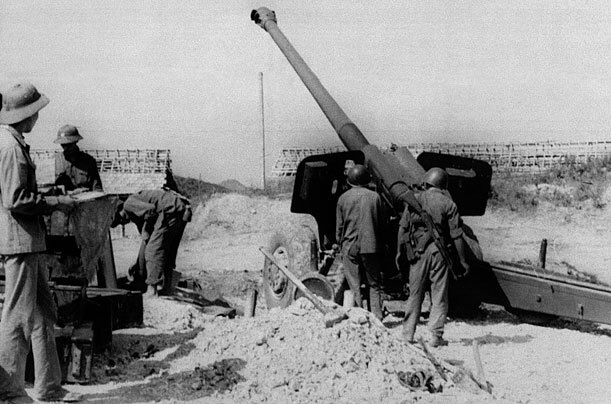 The Chinese army withdrew from Vietnam but despite this, China claimed a victory. To understand this, we have to go back in time and further north. China and Russia used to be friends, so when the Vietnam War broke out in 1955, they supported the communist North against the capitalist South. By the time it ended in 1975, however, the Chinese and the Soviets were at each other’s throats. 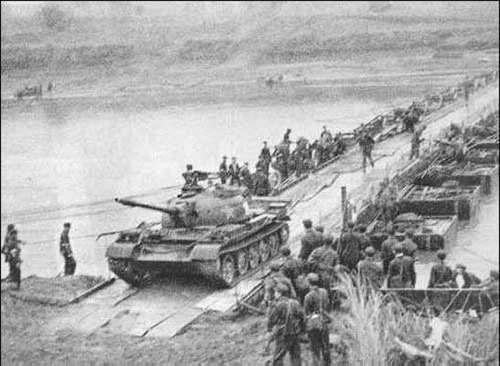 The US went to the Taiwan’s aid, but the Soviets didn’t want to get involved. This angered Mao. Then in 1959, the Soviets offered moral support to Tibetan rebels after the latter’s failed uprising against China. The following year, Mao and Soviet Premier Nikhita Kruschev were yelling at each other at the Romanian Communist Party Congress. Still, they needed each other, so they kept their alliance. Then came the Cuban Missile Crisis of 1962. With the world’s focus on Cuba, China invaded and occupied India’s Aksai-Chin province. And what did the Soviets do? They withdrew their missiles from Cuba and sold weapons to India. For Mao, that was the last straw. Soviet capitulation to the US was bad enough, but what kind of ally sells weapons to your enemies? Sino-Russian relations took a nose dive. 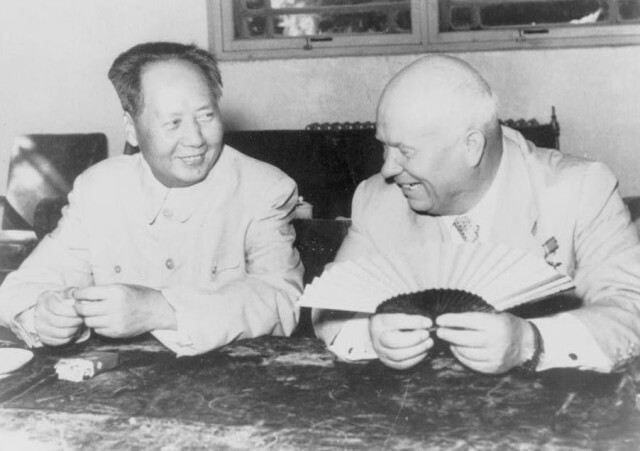 The Chinese and the Soviets were now engaged in their own Cold War within the communist world. In 1975, Vietnam and Laos sided with the Soviets, so China reached out to Cambodia. Mao died in 1976, but the Sino-Soviet Cold War continued. Vietnam and Cambodia had had border skirmishes since 1975, so the Vietnamese decided to end it once and for all. On 3 November 1978, they signed a 25-year mutual defense treaty with the Soviets, then invaded Cambodia on December 25. By 7 January 1979, they took the capital at Phnom Penh and drove the Khmer Rouge out. With the Soviets to their north and the Vietnamese to their south, the Chinese felt trapped. China (now under Deng Xiaoping) visited the US on January 1 and told President Jimmy Carter that Vietnam needed to see a show of force to prove that China could protect her client states. BERLIN – Like a typical school bully, China is big and strong, but it doesn’t have a lot of friends. Indeed, now that the country has joined with the United States to approve new international sanctions on its former vassal state North Korea, it has just one real ally left: Pakistan. But, given how much China is currently sucking out of its smaller neighbor – not to mention how much it extracts from others in its neighborhood – Chinese leaders seem plenty satisfied. In fact, wealthy China has little in common with aid-dependent Pakistan, beyond the fact that both are revisionist states not content with their existing frontiers. They do, however, share an interest in containing India. The prospect of a two-front war, should India enter into conflict with either country, certainly advances that interest. Well, he is right. The pink press tends to link big bangs only with ideas about privatisation and hire-and-fire labour laws. These ain’t happening as of now. However, at least two things Modi has begun would amount to big bangs if he carries them through to their logical conclusion. #1: The first big bang is subsidy reform through financial empowerment. The JAM trio – Jan Dhan banking, Aadhaar unique IDs, and Mobile money transfers – provide the infrastructure to implement the biggest subsidy reforms in Indian history by eliminating leakages and corruption. In stage one, the cooking gas subsidy has been shifted to cash, saving thousands of crores. The next phase – which means doing the same with kerosene, food and fertiliser subsidies – is stalling, as vested interests are threatened by this radical change. If Modi presses on and defeats these vested interests, he will have given us one big bang in far-reaching subsidy reforms. Editor's Note: This is the first installment of a five-part series examining the measures that could be taken to inhibit North Korea's nuclear weapons program. The purpose of this series is not to consider political rhetoric or noninvasive means of coercion, such as sanctions. Rather, we are exploring the military options, however remote, that are open to the United States and its allies, along with the expected retaliatory response from Pyongyang. Part two of this series looks at what targets would need to be struck to derail the North Korean nuclear program. Few countries intrigue and perplex like the Democratic People's Republic of Korea. Isolated by choice from the ebbs and flows of the international system, North Korea is an island of its own making. It is often painted as a weak, fearsome lunatic with delusions of grandeur and aspirations to become a nuclear power, but the truth is a little more complicated. Despite outward appearances, Pyongyang is not reckless in its ambition. Nor does it foolhardily invite destruction. It walks a fine line, hoping to quietly attain a credible nuclear deterrent without inciting world powers to take decisive action. Deterrence has always been a part of North Korea's survival strategy. Pyongyang's calculated disarray is primarily for the benefit of potential aggressors, advising caution should provocation lead to a disproportionate response. Thriving on contradiction, Pyongyang simultaneously depicts itself as fragile to the point of collapse yet immeasurably strong. This act has served the Kim dynasty well, gaining concessions from major powers that normally would not have been afforded. North Korea has a good read on the world's inability and unwillingness to respond, not only because of upcoming U.S. elections but also because of the risk of pre-emption: Pyongyang's conventional deterrent raises the cost of intervention far higher than it is at most other places. The window for a military option to stem Pyongyang's nuclear program is closing, but that does not necessarily mean a strike is more likely now than before. Still, the balance is delicate, and should Pyongyang overplay its hand, the repercussions could be catastrophic. North Korea's biggest fear is to be coerced into a position of subservience, having to prostrate itself before China (its primary benefactor) or another powerful country. Its carefully curated image of aggressive unpredictability is intended to preserve its authoritarian and regulated society and, as a result, its isolation. The North is unlikely to expose itself to the international community unless it can guarantee two things: the primacy and security of its leaders, and an effective military deterrent. And there are few deterrents as effective as nuclear weapons. Pyongyang's unswerving progress toward developing a nuclear capability reflects the singular obsession with which it chases its goals and why the West takes its threats seriously. Mohammad Sharif Shayeq—NurPhoto/Getty ImagesA Afghan National Security Force soldier in Badakhshan Province on May 19, 2106. According to its official website, the U.S. Department of State seeks to help promote “a peaceful, prosperous, just, and democratic world and foster conditions for stability and progress for the benefit of the American people and people everywhere.” That is a praiseworthy objective to be sure. Unfortunately, when it comes to the U.S.’s government’s effort in Afghanistan, it has failed to achieve this. Spectacularly. Instead of acknowledging its shortcomings in appropriate humility and making necessary changes to repair the damage, the U.S. government chooses to shape public opinion by tirelessly spinning the mission to appear as a success. This fact-spinning has resulted in keeping Afghanistan unstable. For example, the Afghan governing institutions set up by the U.S.-led Bonn Agreement in December 2001 and the political deal brokered by the Secretary of State for a Unity Government in 2014, have unwittingly served to keep the state weak and dysfunctional. The resulting high levels of corruption are having a destructive effect on Kabul’s ability to govern. In addition to human rights abuses and killings in Baluchistan, India has many strategic reasons to support the Baluch national movement. A free Baluchistan would likely shatter the backbone of transnational Islamist extremism to a large extent. In the immediate future, India could begin with lobbying for a UN declaration against genocide in Baluchistan. In early April this year, Prof Naila Qadri Baloch conducted a presentation at Observer Research Foundation (ORF) in Delhi. A simmering smolder which has hitherto remained more or less unexposed to geopolitical pressures – either because of Indian docility or Pakistan’s deft foreign policy, or because it was not useful to the West – holds the potential to emerge as a new flash point, largely involving India and Pakistan and a range of external stakeholders like Afghanistan, Iran, the US, China and Russia. Baluchistan, an independent entity ruled by the Khan of Kalat, was forcibly occupied by the Pakistani army in 1947, violating all international norms of sovereignty and human rights. Since then, it has seen a continuous freedom struggle led by the Baluch National Army, in which thousands of innocent civilians including women and children have been mercilessly butchered by the Pakistani army. Every year, thousands of local civilians disappear. Later, their dead bodies are recovered from the road side with bullet holes in their heads, making clear the fact that they were shot at point-blank. In early 2016 China revealed that they had perfected the technology for a maneuverable ballistic missile warhead. This came a little after it was revealed that since 2014 China had conducted six tests of a maneuverable gliding warhead for ballistic missiles. Five of the six tests were successful and this “hypersonic glide vehicle” is officially known as the DF-ZF. In effect this hypersonic glide vehicle is a warhead that can glide rather than simply plunging back to earth and is maneuverable enough to hit small moving targets in space or down on the surface. The DF-ZF was initially developed as China sought to perfect a version of the DF-21 ballistic missile that could hit moving warships at sea. DF-21 is a 15 ton, two stage, solid fuel missile that is 10.7 meters (35 feet) long and 140cm (4.6 feet) in diameter. The DF-21D (the carrier killer version) missile using the DF-ZF warhead is also more difficult for anti-missile missiles to hit and can also be used against low orbit satellites as well as land targets and moving warships. As far back as 2008 there were rumors that the Chinese had reverse engineered, reinvented or stolen the 1970s seeker technology that went into the U.S. Pershing ballistic missile maneuverable warhead. This 7.5 ton U.S. Army missile also had a range of 1,800 kilometers and could put its nuclear warhead within 30 meters of its aim point. This was possible because the warhead was maneuverable and had its guidance system using radar. This kind of accuracy made the Russians very uncomfortable as it meant many of their command bunkers were suddenly very vulnerable. The Russians eventually agreed to a lot of nuclear and missile disarmament deals in order to get the Pershings decommissioned in the 1980s. Until 2013 there was no evidence that the DF-21D system had been tested using a maneuverable warhead. Then satellite photos showed a 200 meter long white rectangle in the Gobi Desert (in Western China) with two large craters in it. This would appear to be a “target” for testing the DF-21D, and two of the inert practice warheads appear to have hit the target. American carriers are over 300 meters long, although the smaller carriers (amphibious ships with helicopter decks) are closer to 200 meters long. It appeared China was planning on using the DF-21D against smaller warships, or perhaps they just wanted to see exactly how accurate the missile could be. Then in 2014 an even more maneuverable and gliding version of the carrier killer warhead appeared in the form of the DF-ZF hypersonic glide vehicle. Editors’ Note: Understanding the importance, extent, and duration of the rivalry between the Islamic State and al-Qaida is vital for combating terrorism in the future, writes Dan Byman. This post originally appeared on Slate. More than 80, and possibly up to 120, people died Monday in ISIS attacks on regime-controlled territory near Russian bases in Syria. And new reports show that earlier in the month, ISIS took out Russian helicopters working out of a base in central Syria. But Russia and the Syrian regime are hardly ISIS’ only foes. ISIS is engaged in a deadly conflict with al-Qaida in Syria and elsewhere in the Muslim world. Al-Qaida itself sees the threat from the ascendant Islamic State as so serious—and its own position in its base in Pakistan so weak—that it is reportedly moving senior leaders to Syriaand considering emulating the Islamic State by establishing its own emirate there. Understanding the importance, extent, and duration of this rivalry is vital for combating terrorism in the future. Because as dangerous as the groups are separately, it’s frightening to think of what they could accomplish if they were to unite, and the possibility is not as far-fetched as it seems. [A]s dangerous as the groups are separately, it’s frightening to think of what they could accomplish if they were to unite, and the possibility is not as far-fetched as it seems. Even though they have different aims—with al-Qaida focused more on attacking the United States while ISIS seeks to consolidate and expand its state—the movement as a whole is bound by numerous personal ties, often based on shared fighting in Afghanistan, Iraq, and other fronts. Many of the individuals involved, particularly outside the Iraq and Syria core, see themselves as brothers-in-arms and are not eager to choose sides. Not to mention that both sides are reaching for the same funding sources and recruits, giving them an incentive to pursue similar paths. Some of the world’s leading terrorism scholars, such as my colleague Bruce Hoffman, argue that a merger may be coming. Hoffman correctly warns that al-Qaida has repeatedly, and wrongly, been counted out many times in the past. And he emphasizes that the ideological similarities between al-Qaida and ISIS are far greater than the differences, unsurprising considering one is an offshoot of the other. Although I agree that the two movements may come together at some point, their differences are profound and a real challenge to any unity. Divisions have always plagued the modern jihadist movement. Rival jihadists probably were behind the 1989 assassination of Abdullah Azzam, the Pied Piper of the Afghan Arab movement, and other jihadists tried to kill Osama Bin Laden himself during his time in Sudan. Al-Qaida emerged as a splinter movement from the broader Arab-Afghan cause, and it often had difficulty working with, let alone controlling, fellow jihadists. As the United States continues to struggle with adequately funding its armed forces, other nations around the world are developing impressive military capabilities. Case in point: In a recent article published by The Guardian, China is set to deploy nuclear powered ballistic missile submarines, or what many in the naval community affectionately call “boomers,” armed with the most deadly of weapons—long-range, nuclear tipped warheads that can travel thousands of miles and potentially target U.S. territory. To be fair, many other nations around the world have developed atomic submarines that are armed with long-range, nuclear missiles. In fact, the United States developed such technology back in the 1950s while China has worked to develop a comparable capability for decades. So why should the average American actually care if Beijing is developing military technology the U.S. pioneered many decades ago or is upgrading its forces in other areas? Indeed, China’s development of nuclear submarines is part of a bigger, more worrying trend: The creation of a truly modern military that, in many respects, aims to defeat America’s armed forces if conflict were ever to occur. Beijing is developing a suite of weapons platforms that were once thought to be reserved for only the U.S. or would take nations like China and Russia decades to develop. In fact, Beijing seems to be closing in on cutting-edge weapons systems that seem more out of the pages of science fiction than reality. WhatsApp, the app Facebook bought for $19 billion (£12 billion), is used by more than 900 million people around the world and has become one of the best ways to connect with people in different countries or have group conversations. 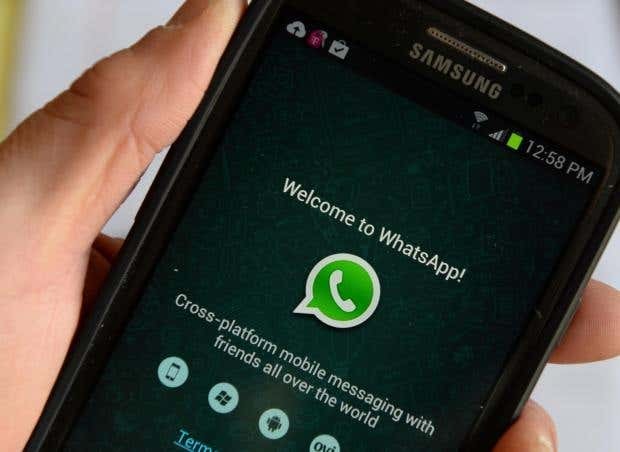 Unlike with text messaging, WhatsApp uses a data connection, which means sending a message is essentially free, especially for those with unlimited data plans. While the app is reasonably simple, there are features many users haven't yet discovered. Here are the top nine "hidden" features in WhatsApp that everyone should know about and use. To find out whom you communicate with most on WhatsApp, go to Settings > Account > Network Usage. A number appears next to each contact that represents the total number of messages sent back and forth. Selecting a person reveals more information, including how many messages have been sent by whom. Group-chat notifications — especially in a big group — can become annoying, particularly if you aren't involved in the conversation. While muting group chat may seem drastic, sometimes these things have to be done. 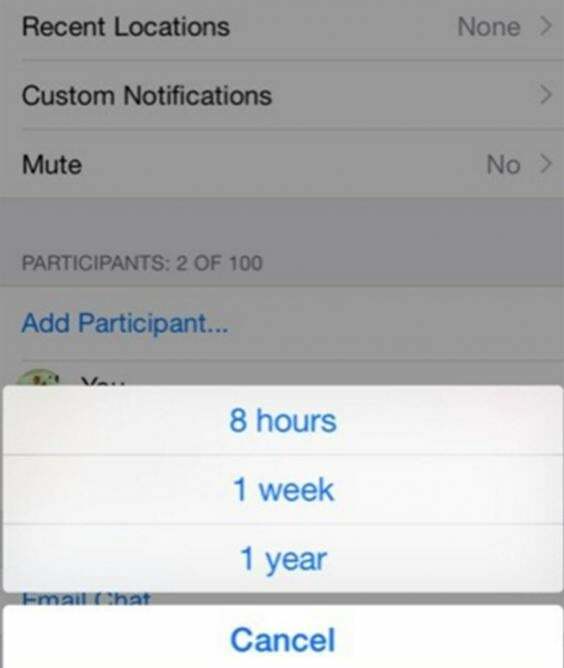 Go to the group chat in question, click on its name and select “Mute,” where you will be presented with three options: eight hours, a week, and a year. The Islamic State of Iraq and al-Sham (ISIS)’s stated end goal is to establish a Caliphate (Dar-al-Islam) where Sharia laws apply, across Africa, Asia and Europe. In a map released in July 2014, ISIS identified countries in South Asia, Southeast Asia, and Central Asia where it aims to establish its rule in the next five years (by 2019). The establishment of the Caliphate in Iraq and Syria was announced by its leader, Abu Bakr al-Baghdadi in July 2014 from the Great Mosque of al-Nuri in Mosul, Iraq. ISIS chief spokesperson, Sheikh Abu Muhammad al-Adnani stated that the goal of ISIS is to establish an Islamic state that doesn’t recognize international borders. ISIS aims to revert its Caliphate back to the 7th century, the times of the Prophet, and asserts that the Koran, distorted by years of technical interpretations, should be instead literally read. This argument is similar to the Salafis (Wahhabis) of Saudi Arabia, who also encourage a literal reading of the Holy Koran. 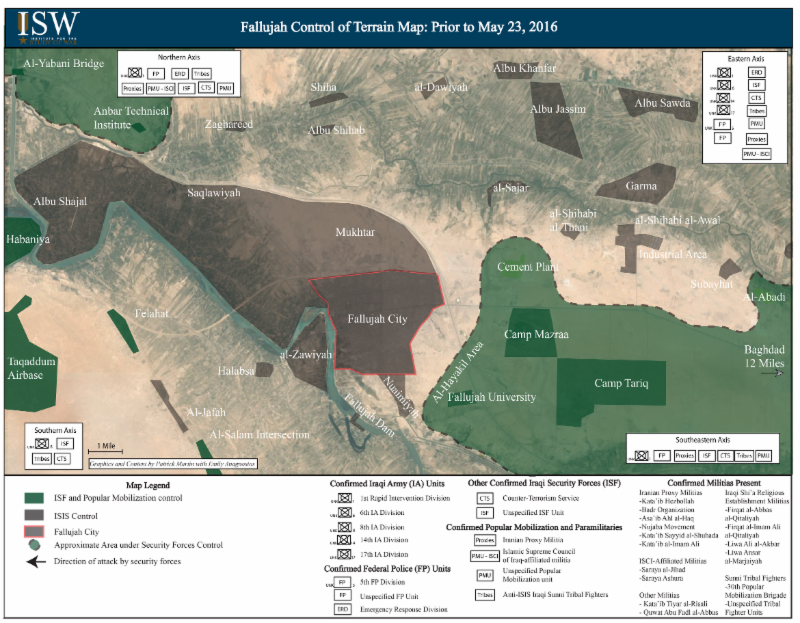 ISIS’s headquarters is situated in the Syrian city of al-Raqqa, and it controls important Iraqi cities like Mosul, and is able to move freely in cities like Irbil, Tikrit, Ramadi, and Falluja, close to Baghdad. 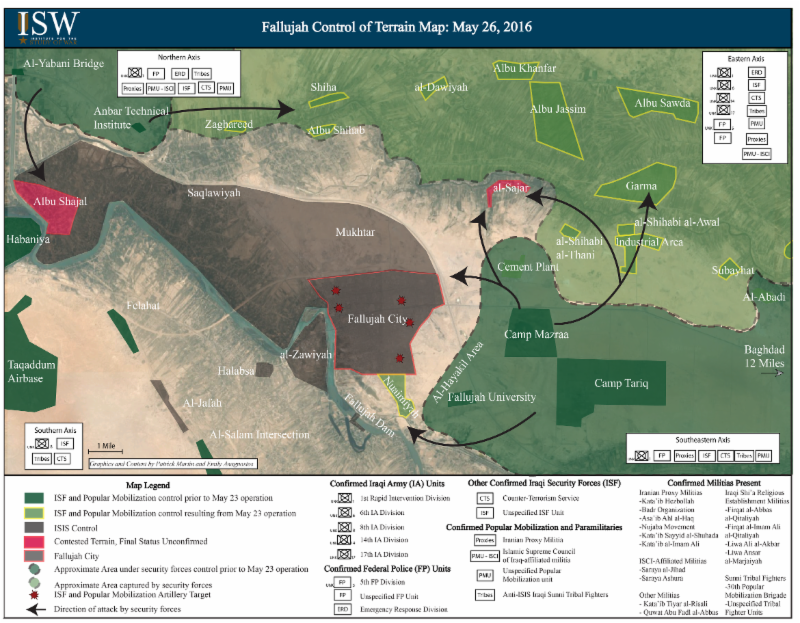 While it recently lost control of Palmyra in Syria to Russian and Assad forces, it still has the ability to move freely between Raqqa and Aleppo, as well as in areas close to Palmyra. This means nearly 10 million people (the size of Sweden) live in ISIS controlled areas, where Sharia law is being applied. According to ISIS, Sharia law has been severely misunderstood due to its faulty application by regimes like Saudi Arabia, who while beheading murderers and cutting off hands of thieves, does little to implement its social programs like free housing, food and clothing for all. Astute in propaganda, ISIS constantly releases videos on the internet that provides snapshots of life under its regime, while at the same time, targeting the West for mistreating fellow Muslims. The use of violence in its videos with graphic details of its beheadings have shocked the world. These videos have the intended effect that ISIS wants: to make it look lethal and inflexible with regard to religious theology. Muslims, who do not fall within ISIS’s interpretation of Islam, are termed kafir (infidel) and to be killed. Thus,Shiites, Alawites, Yezidis, Kurds, are targets as they are not Sunnis. ISIS runs an online magazine titledDabiq, in which it documents the lives of its members and explains future plans for expansion. An interview with Natalia Slobodian, a National Centre for Strategic Studies energy expert living in Kyiv. Interviewer: Wojciech Jakóbik. In what way is the energy sector part of the “hybrid war” waged in Europe by Russia? Who are the actors and what are its consequences? One of the key tools in Russia’s “hybrid war” taking place within Europe is the energy component. Russia is a state heavily reliant on energy and raw materials, where hydrocarbons are not just a commodity, but also a tool for achieving geopolitical objectives. To achieve its political goals, Moscow has used the energy tool against Ukraine on three levels: political, economic and information. Ukrainian energy infrastructure has become a matter of special attention for the Kremlin, since its occupation or destruction does not only cause significant economic losses to Ukraine, but also threatens European countries’ energy security.